Technical Training - HPS North America, Inc.
HPS Schönox offers technical training to professionals. 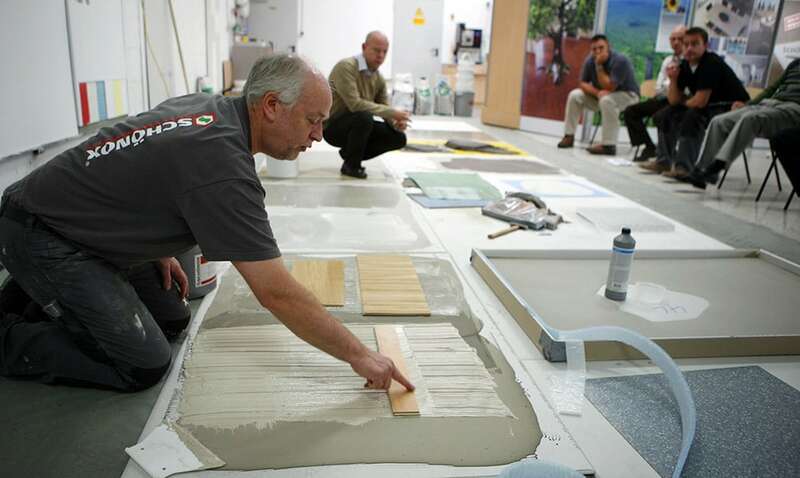 HPS Schönox offers technical training, programs, and seminars that provide hands-on opportunities to learn about the full range of our products, installation tips, and subfloor preparation details. These opportunities are presented at our training facility in Florence, Alabama, but just as frequently at contractor, installer, and distributor locations around the country. We’ll bring the training materials and products to you. Give us a call to discuss a program for your group or email us using the form on this page. We look forward to working with you.